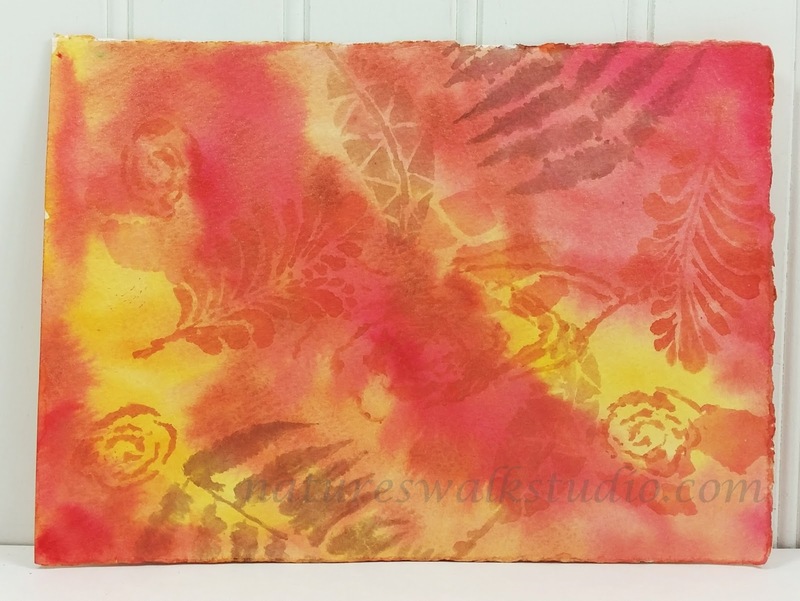 I'm participating in a Leaf swap hosted by Nanner on atcsforall.com, and am having fun playing around with the watercolor layered backgrounds. These all use a base of watercolor wash, and then layers of stencil shapes also with watercolor. Here's where I am with four of the leaves - these are all around 6-1/2 inches long and are 140# watercolor paper. This is a background using Twinkling H20's - which may also become a leaf, or perhaps it will be something else entirely. We'll see! Love your leaves and what a perfectly fun idea for a swap!! Happy PPF! Wow a leaf swap. That is so cool. Yours are fabulous. I can imagine the all the different leaves that show up. Ooh I love these...gorgeous!! I'd be nervous to edge them...Maybe trace them on a plain paper...edge that and lay it down to see if you like it before you add it to the actual leaf!! 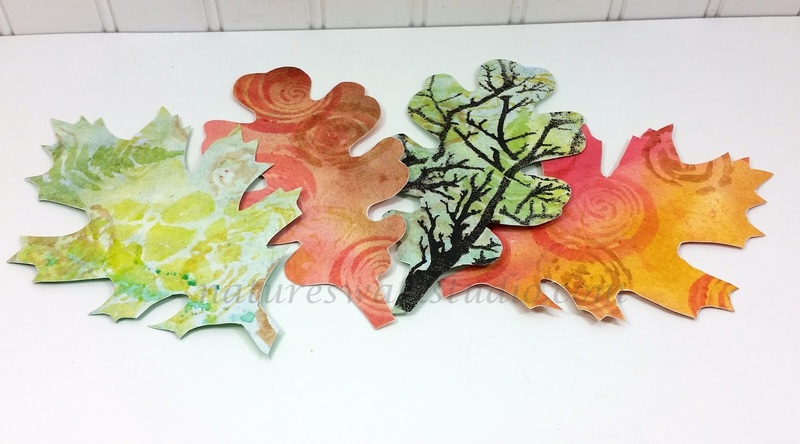 What a great idea to make leaves from different techniques. I must admit that I like them the way they are!